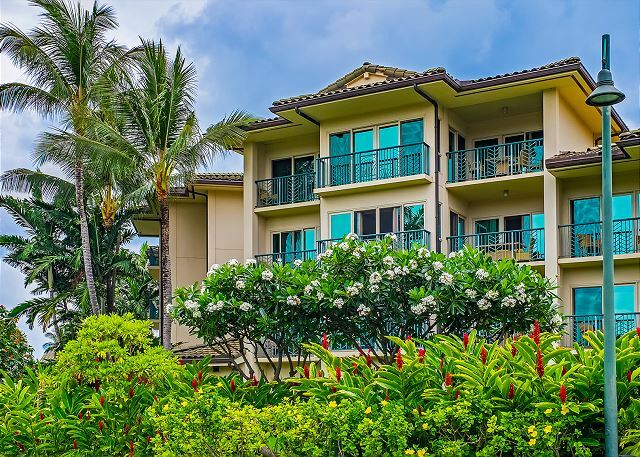 As a guest at Waipouli Beach Resort E-205 & RE/MAX Kauai, you'll have access to Kauai's Premier Concierge Service at (855) 665-2824 http://kauaiva.com/index.html, we will help you build your perfect vacation. Beautiful property home away from home. I was very happy with my rental. It was clean and nicely supplied. The beds were comfortable and the grounds were beautiful and well kept. Overall a great experience for this visiting family of grand parents, parents and young children. Unit itself was clean and updated. Hallways, entryways and elevator could use a little sprucing up. Restaurant was a little pricey for daily eats but the Wed night entertainment is not to be missed! Pool was enjoyed by all especially the kiddies. We were very happy with the rental. Condo was clean, and provided us everything we needed. We appreciated the availability of the cooler and beach chairs for our beach day. 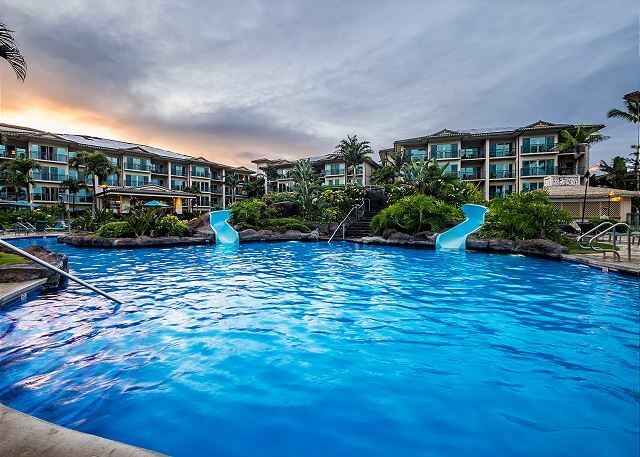 The pool was great and location was very convenient to access local markets and restaurants, as well as, easy access to both the north and south sides of the island. The staff at the resort was friendly and reassuring about the hurricane. We felt safe and secure. We were very happy with e-205 unit we stayed in! The single beds were a little short for the older teenage boys but that didn't keep them from sleeping! The one thing I wished the unit had were ceiling fans in the bedrooms. We did find, however, a box fan. I was extremely happy with the Remax rental property agency! The vacation was great and the unit was spacious.! The downside was the yellow splatters on the walls around the toilets. I washed the walls myself with my own Clorox wipes. It’s odd that this wasn’t part of the cleaning process when the toilets were cleaned. They could also add another roll of paper towels since there were no napkins to use with meals. Our tv cable also didn’t work so we all used our computers to watch Netflix. Other than that the unit was nice and perfect space for four people. 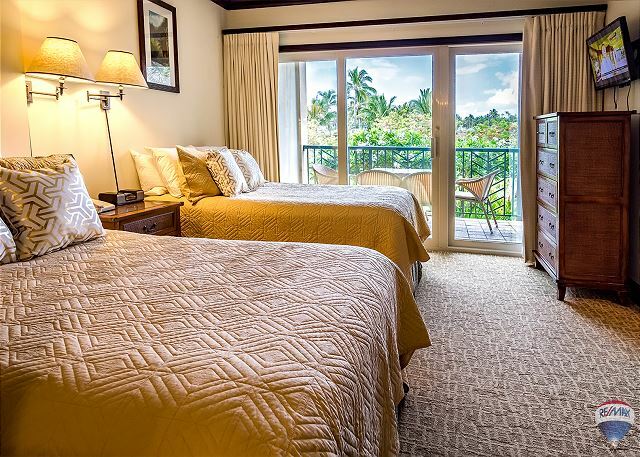 There were six of us who spent three nights at the Waipouli Beach Resort. The condominium was well-maintained and clean. All of our needs were met and the layout and furnishings were very comfortable. 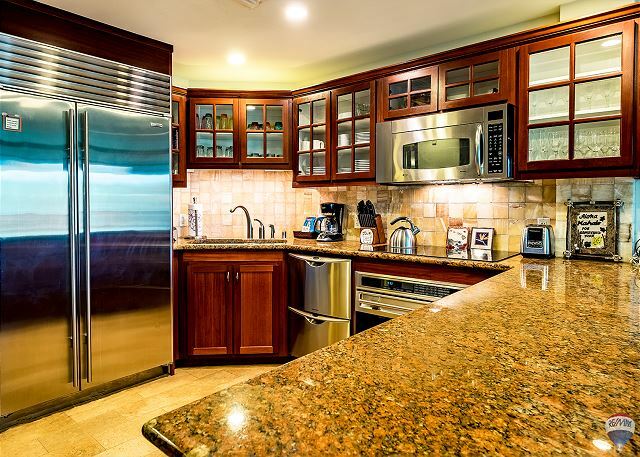 The kitchen is awesome and the appliances are top notch. 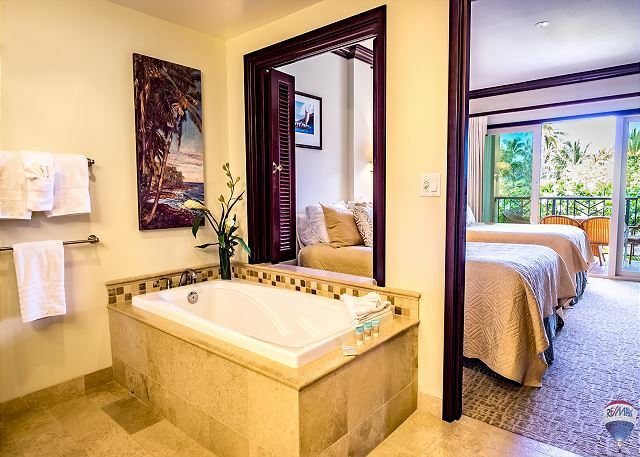 The two full bathrooms were large and luxurious, and the beds comfortable. We were very pleased with our experience. The grounds were beautifully maintained and the pool and hot tubs were clean and beautifully arranged. The beach had very easy access from the resort, and we spent allot of time in beach chairs enjoying the surf and sun. We also enjoyed watching whales making their way past our location. Just like home. Only better. Property was very well maintained. The condo we stayed in was very clean with up to date furnishings. Very good central East side location to launch your adventures to either the North or South / West sides. Parking close to our unit wasn't an issue at all. 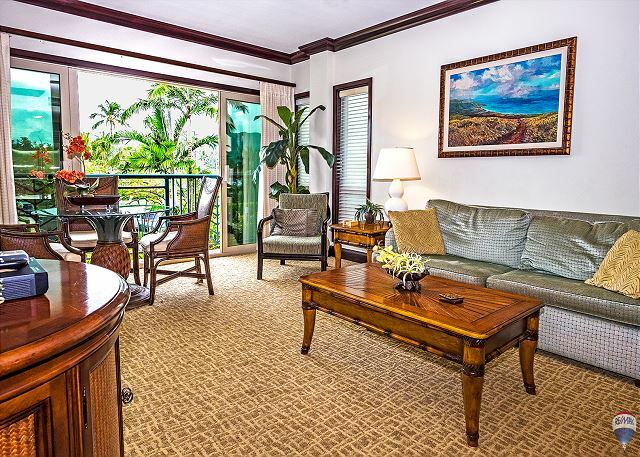 We had a late flight out of Lihue and requested a late check-out, which the property manager happily accommodated. I would definitely recommend this property to family and would stay there again (Starbucks & Safeway right across the street also-score!). The only negative we found was that the pool water was rather cold and overall the pool needed to be cleaned. Our family had a great time. The condo was just like the web-site description. Rooms were clean and roomy. We really liked the pool area and that the beach was so close. Also, the Safeway across the street made it handy to get picnic lunches made for the day. When we come back, this will be one of first places we will look at booking. We loved, loved, loved this resort! Would stay here again. 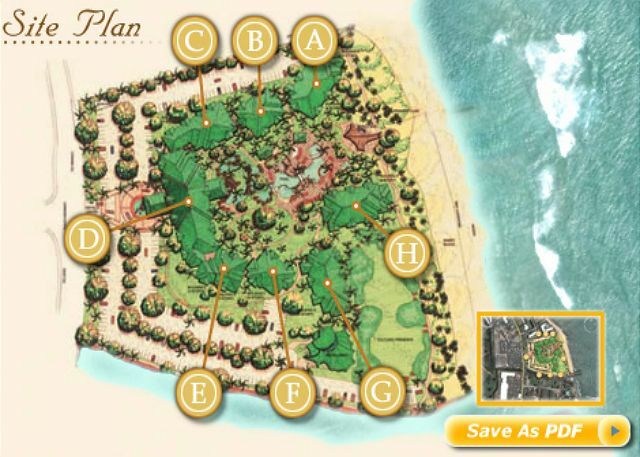 We loved that it was centrally located so we could go either direction on the island. The pool was the best. We went every afternoon for awhile and enjoyed the slide and walking the lazy river. (Even though our kids are 16,21,23). Property felt clean and cared for. Would suggest a floor lamp or light kit on the ceiling fan in living area as it was a little dark to play cards. Would rent this condo again. Kitchen was well stocked too. Excellent set-up. Remodeled unit that really took care of my family of six comfortably with very nice amenities. 👍?� I will definitely be back! 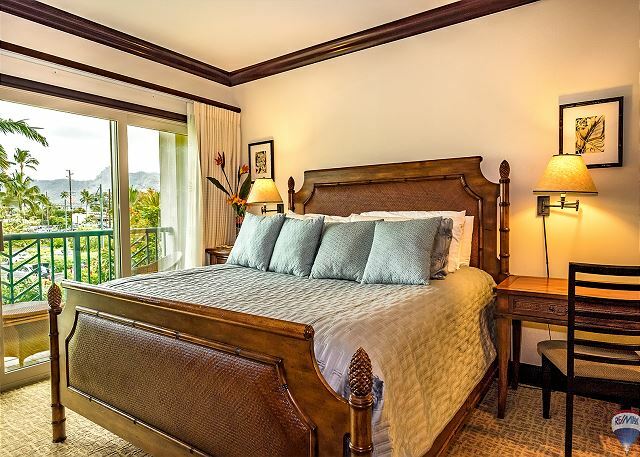 The room was excellent; location was convenient; restaurants were within walking distance; the only issue that I reported to my concierge was the floor to the condo was extremely slippery; my daughter fell twice in the bathroom area; the only other issue I had was during check in, I was unable to leave my belongings at the front desk until my room was available (3pm) since I went through a 3rd party to coordinate my stay. 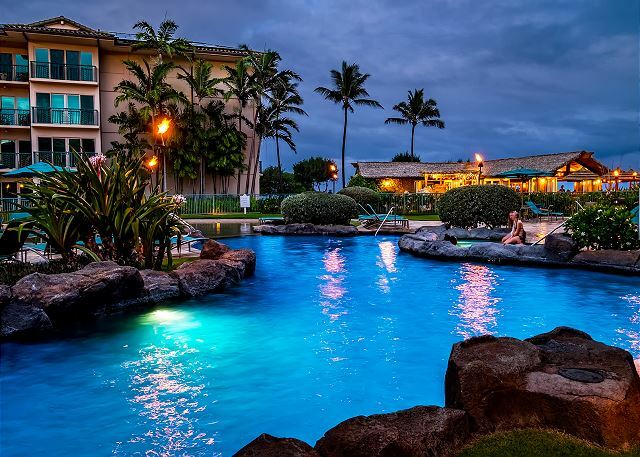 Best place we've stayed at in Hawaii. Very happy with this place! We were 4 adults and 2 kids ( 5 and 19months). 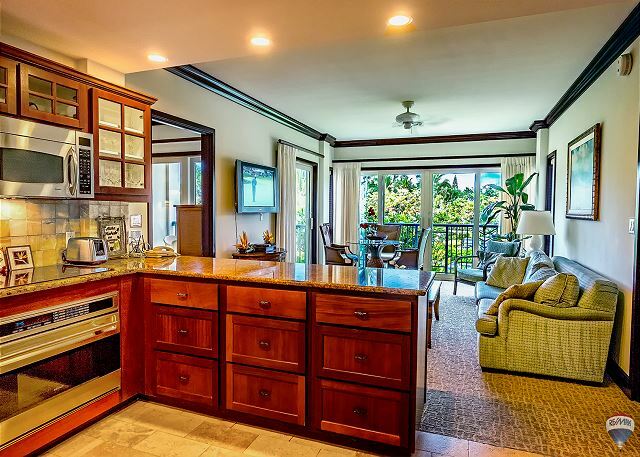 Everything you need in a kitchen, had laundry soap, dish soap, plenty of towels, beautiful appliances. Very nice and large bathrooms. Compfortable beds. Perfect location on the island. And the resort pool is beautiful. The boys really enjoyed the sand pool. We will be back and will definitely stay here. We have more of the island to see. 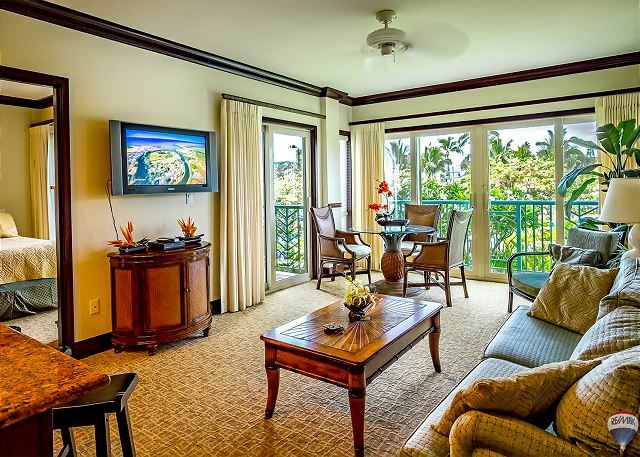 this was a repeat visit to the Waipouli Resort, our favorite place to stay in Kauai. 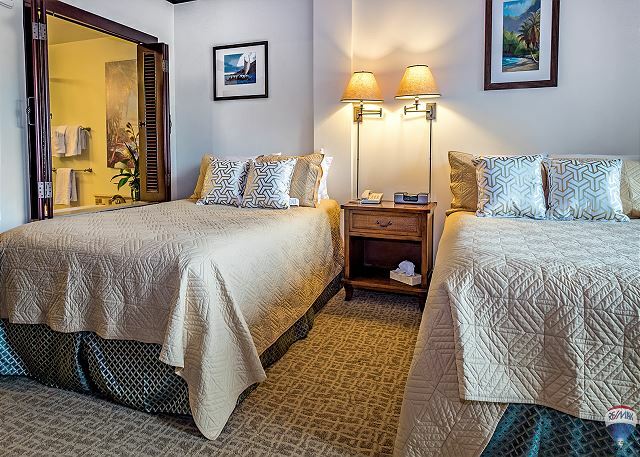 We have made many 20+ trips to Kauai over the years, and prefer this resort for its central location and access to both the Hanalai side or the Poipu area. Smooth rental experience, great location, beautiful condo. 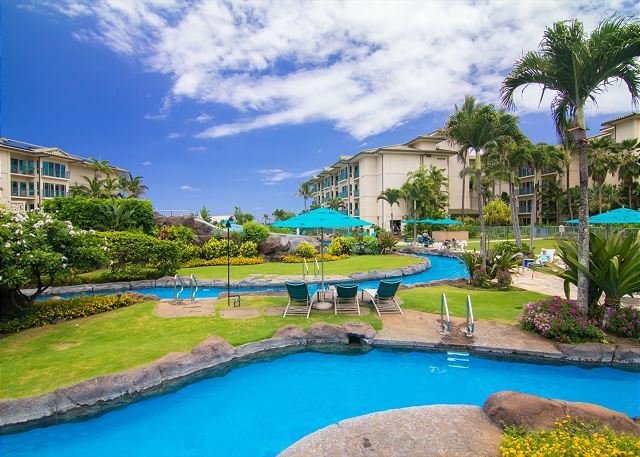 Our family truly enjoyed our recent visit at the Waipouli Beach Resort. The rental process of our unit was seamless and easy. Owner provided us information on the unit, check-in and property info well ahead of time and was always available if any questions or concerns came up. The unit was very clean, plenty of space for 6 (4 adults, 2 children) and overall much more enjoyable than staying in a standard hotel room. E-205 overlooks a garden, mountains, parking lot and a bit of the highway, however, traffic noise was never an issue. Unit is also directly across from elevator, however, noise & elevator bell couldn't be heard from inside the unit. Our family of 6 had an amazing time at the resort! We were comfortably accomadated in the 2 bedroom suite. It was clean and had everything we needed for our 12 day stay, from dishes, supplies, laundry it was just like home. The reosrt itself is great, amenities for everyone and we spent everyday at the pol! My children range in age from 1 year to 15 and they all had a great time. If we return to Kauai we will stay here again and have been reccomdening the site to all of our friends! The facility and location were ideal for our trip. Perfect distance to everything that we wanted to do. The condo was simply lovely! We loved the condo! 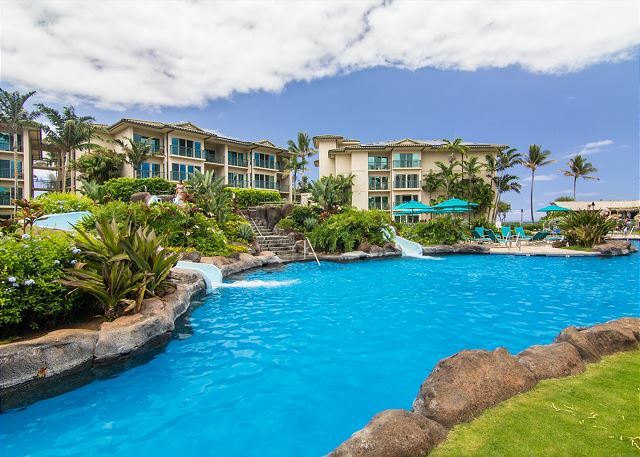 Great location, wonderful pool for kids and the property was beautiful! We hope to return soon! It would be nice to have ceiling fans in the bedrooms and a light over the dining table. I did not receive a conformation with my room entry code number, had to get security to let us in. We were pleasantly surprised by the condo and the resorts grounds. The location is perfect and we enjoyed our stay ! Everything went as planned. The beds are so comfortable !!! The condo was in excellent condition - clean and well appointed. All appliances were top notch and the beds were very comfortable. The location was ideal as it provided great access to the north and south shores. A must for families. The only drawback was that the beach was not swimable - but that is many in Kauai. 5 STAR! Perfect location to go north, south or west of the island. Very convenient to grocery stores and fabulous restaurants. If we were to return to this Island, this would definitely be the place we stay. very quiet location, beautifully maintained, pool was delightful.